This fall we welcome the Class of 1969 into the Golden Roses Society! Celebrations will be held during HOME.COMING & Family Weekend, September 27 - 29, 2019. 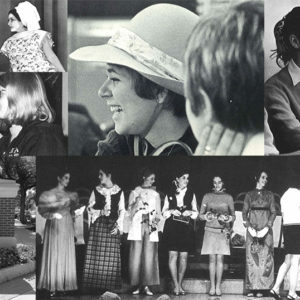 This September join us as we honor our newest inductees into the Golden Roses Society with special programming for the 50 year reunion of the Class of 1969. We will also host an all-class Golden Roses luncheon to welcome all Golden Roses back to Saint Rose! Please plan to join us for these memorable celebrations.